Woodford County Special Education Association is proud to have a variety of services for young children and families. Early Childhood Special Education, Preschool For All, and Child Find Developmental Screenings are three ways we reach needs in our Woodford County communities. Mission Statement - Our program is designed to be a safe environment where children have exposure and experiences to help them develop skills critical for school and life. We want our children to feel cared about, develop friendships with peers and adults, become independent, and feel confident to share thoughts and ideas. We will always meet children where they are at and support them to move forward. 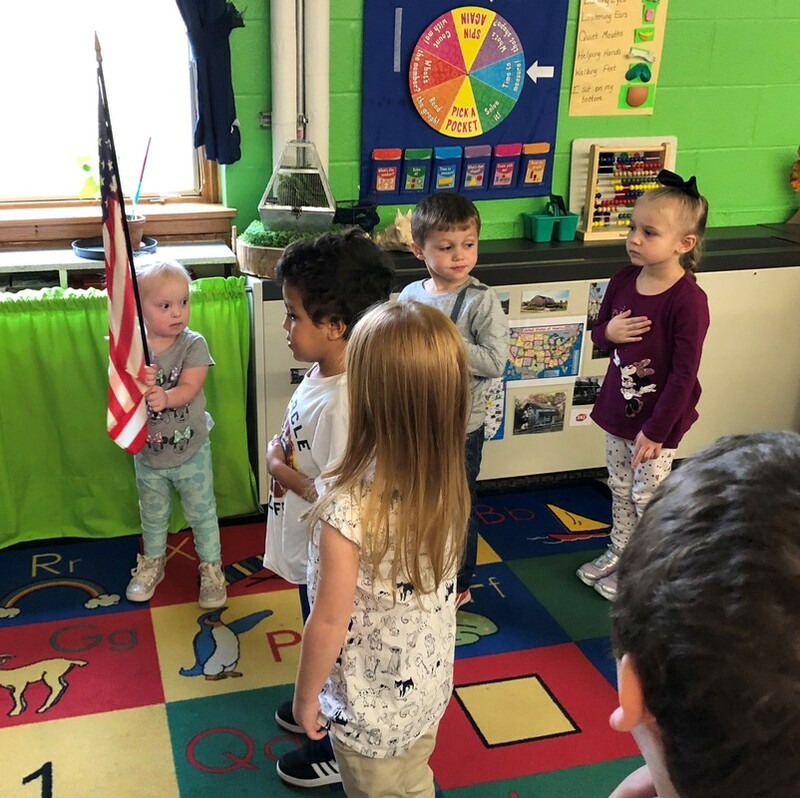 Philosophy - The Bright Beginnings program follows the National Association for the Education of Young Children's (NAEYC) guidelines for developmentally appropriate practices and the Illinois State Board of Education's Early Learning and Development Standards. The classroom activities and environments are age appropriate and individual appropriate. There is a balance of teacher directed and child directed activities. We respect individual, family, and cultural differences and promote respect and acceptance. You will find a variety of developmental levels and ages in the preschool classroom. Children are provided with materials and activities that match their development level. If children are not ready to work on a particular skill such as rhyming words, the teacher will target the precursor skill to the activity with that child or find another appropriate activity. Our program is recognized by the Illinois State Board of Education as meeting "Gold Circle of Quality," the highest ranking based on compliance and ECERS -3 scores. Letter from Illinois State Board of Education. Our Bright Beginnings program serves children with and without disabilities, between the ages of three and five. Children must demonstrate a data-based need for preschool to address language, motor, social, and/or readiness and cognitive skills. Some children qualify and receive special education (IEP) services. Classrooms are half-day and follow the district calendar. A developmental screening and parent interview/questionnaire are required in order to be considered for the classroom. Classrooms are staffed with a certified teacher and teacher assistant. Funding for Preschool For All is dependent on a grant through the Illinois State Board of Education. Learn about your child’s skills in the areas of speech/language, motor, cognition, and self-help/socialization skills. Screenings are held weekly during regular business hours during the school year at the WCSEA office. WCSEA partners with Early Intervention and community agencies to provide free screenings to children ages birth-age 5. Parents stay with children during the screening. Verbal and written results are provided before you leave. A screening is required in order to be considered for our 3-5 year old classrooms. All screenings are free of charge! If you have any concerns about your child’s development, or are interested in our classroom program please call us at 309-367-4901.